Hosting on Airbnb can be an extremely rewarding experience with a score of benefits. You’re able to meet travelers from every corner of the world and act as the narrator of your city’s story, all while supplementing or replacing your income! But being an Airbnb host is no walk in the park…and some days you might feel more like a professional maid than a guide for your neighborhood. Of course, you want to offer a clean, hotel-like experience for your guests. But unlike a hotel, you don’t have a full-time housekeeping staff ready to turn over your listing in between reservations. Airbnb candidly notes that cleaning is one of the more challenging aspects of preparing your listing. Amongst vetting inquiries, keeping your calendar up to-date, communicating with guests, providing access to your listing and ensuring your guests have a warm experience, cleaning can be the MOST fatiguing. Take note…Cleaning as part of guest preparation is very important – Airbnb reports that listings with a 5-star cleanliness rating receive 20% more bookings than listings with a rating of 4 or below. Your listing should be free of clutter, dirt and debris. 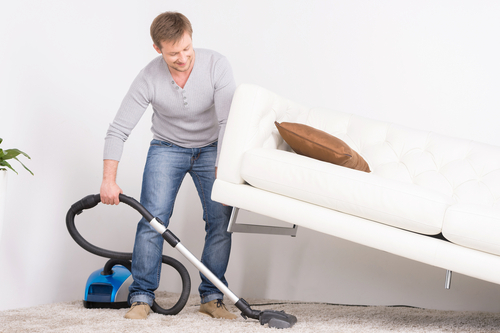 Make sure the floors in the bedrooms, bathrooms and common areas are vacuumed and mopped. The bathroom should be sanitized with special attention paid to removal of hair from the sink, toilet, shower and floor. Any opened food or beverages from prior guests should be removed from the fridge. Guests will spend the majority of their stay in your listing sleeping, so it’s very important that they feel comfortable. Preparation should include freshly washed sheets, pillowcases and towels. Pro Tip: Using white sheets and towels makes guests feel confident that they are sleeping in and using fresh, clean linens. Make sure your guests have room to unpack their suitcase and store their garments. This should include drawers for folded items and hanging space for more delicate items, like suits and dresses. Going above and beyond to prepare for your guest can truly make their visit memorable. Some hosts leave a special note, others a city tour guide; whatever you choose…make it personal.